For years, I ignored serums. I had no idea what they were, what they were supposed to do and what the point in buying one was. But, one day, curiosity got the better of me. I tried one and… have never looked back. 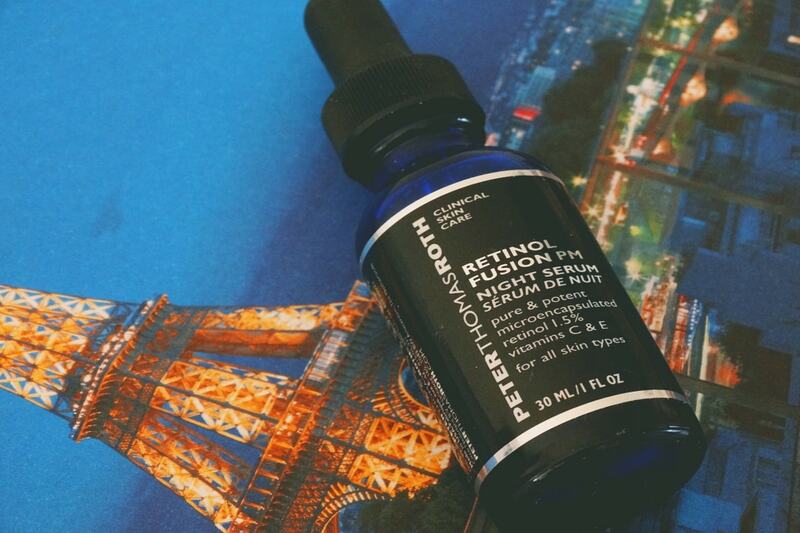 These days, a serum is an essential step in my skincare routine, both at morning and at night. What a change, huh? So, what happened there? Well, I’ve finally figured out what serums are. Skincare superheroes that are packed with active ingredients, such as antioxidants and skin lighteners. Serums contain a much higher concentration of these goodies than moisturizers. Their texture is much lighter, too, so they penetrate more easily into the skin. That makes serums work better and faster than any other skincare products out there. Basically, you’d be mad not to use one. There’s only one problem. How the heck do you choose the best one for your skin, especially when its needs keep changing as you get older? Problem? What problem? Your skin looks awesome. Soft, supple, glowy. What the heck do you need a serum for? Your skin isn’t showing it yet, but sun damage, pollution, an unbalanced diet and plenty of other things are inflicting damage to it every day. If you don’t do something about it now, those wrinkles will turn up sooner than you think. Enter antioxidants. They fight the free radicals that cause wrinkles and dark spots. The more you add to your skincare routine, the better you’ll age. Fine lines are now starting to appear, especially around your eyes. Yes, already. Retinoids. They’re forms of vitamin A, the gold standard for treating antiaging. They reduce the fine lines and wrinkles you already have and prevent new ones from forming. How? But, there’s a catch. Retinoids can be irritating if you’ve never used them before. Start with small concentrations once or twice a week and build it up from there. Skin is starting to lose its luster. It’s duller, drier and more uneven than it was before. Exfoliation. Well, you need that at any age, but this is the time to switch to glycolic acid once and for all, if you haven’t already. Why GA? There’s no better exfoliant for dry and sun-damaged skin. You may also want to start using peptides. The verdict’s still out there, it’s true. Peptides are too big to penetrate skin, so some derms think they’re useless. But, enough studies are coming up lately to make me think they do something (like helping to firm skin) even when left on the surface of the skin. I wouldn’t buy a serum just because of peptides, but if it has other goodies + peptides, heck, why not? What’s NOT the problem? Wrinkles, sagging, dark spots… Your skin is starting to show its real age. You still need all the goodies that served you well before. Antioxidants. Retinoids. Glycolic acid. Peptides. But now, it’s time to bring out the big guns to treat dark spots. That usually means hydroquinone, the most powerful skin lightener out there. Problem is, it’s a bit harsh. There are other gentler alternatives, like arbutin and Niacinamide, but they tend to cost more or work more slowly. 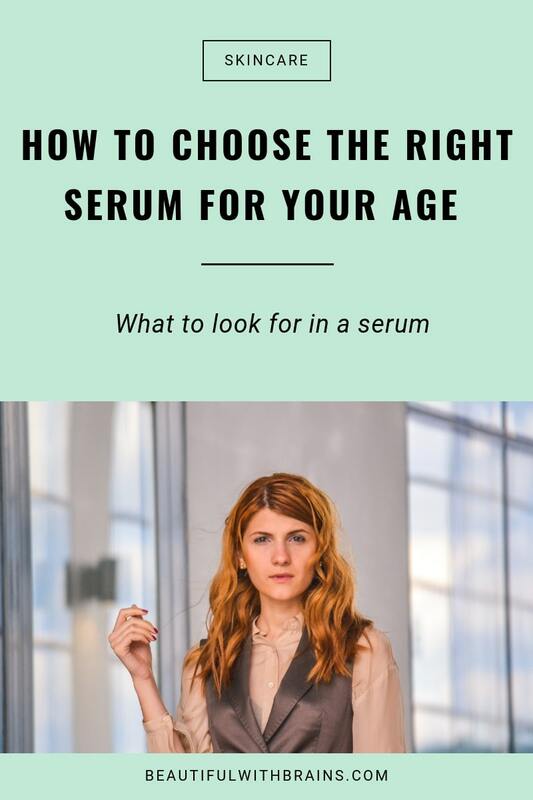 Are you using the right serum for your age? Share your picks in the comments below. Helena, I love them too. They do wonders for the skin! What’s your opinion, Gio, of hydroquinone? Lately in the US, it has fallen out of favor. What have you been hearing? I agree that there is no worry with hydroquinone! I am not getting much improvement with over the counter products (Up to 4%) and yes I use sunscreen. Is prescription the way to go? Do you know if it is very expensive? (Canada). Maureen, if over the counter doesn’t work, prescription is definitely something to consider. Unfortunately, I have no idea how much that would cost in Canada, sorry. This is great, Gio! I’ve been wondering lately if I’m using the best serum for my age (42). This really helps me research a good one. I have a question about acids in skin care (AHAs, BHAs, etc.). Some beauty bloggers seem to be of the opinion that, while they work beautifully at first, they can thin the skin over time and thus should be avoided. What’s your take on this? i am mid thirties and after having pallid dull lifeless skin my life i found serums and have fallen madly in love with them. where have they been all my life! thanks for this article to give better direction about serums! i have serums of hyaluronic acid, vitamin c, niacyanamide, and a cerum that has vitamin c with e complex, i also have a herbal serum that i like it , it has wild daisy flower and white tea extracts. after reading about your reasearch on copper peptides i really really want a serum of those kind, but they are soooooo out of my league right now. Julina, copper peptides can be so expensive! But you’re doing so well already. Hyaluronic acid, vitamins c and e, and niacinamide are all wonderful ingredients that will help you achieve clear and glowing skin. And it’s great that you’re getting your fix in serum form, as they’re more powerful that way. So happy to have found you! Haven’t finished reading everything but I’m hooked. I’d like to ask for some guidance. I’m 40 have and due to my sun avoidance, genes, no smoking /alcohol I’m only now getting a laugh line (just one) on my left side. I think from sleeping on that side. No fine lines anywhere else but a couple of milia seeds. I’ve never had a skin care routine and now clearly I need to exfoliate. Is it ok for me to start with retinoids and aha’s all at once? Mami, first of all, well done! A healthy lifestyle does pay off, doesn’t it? That depends. Some people can start such a heavy duty regime all at once without their skin complaining, others end up with irritations. You really won’t know until you try it. To stay on the safe side, I’d recommend you work them in slowly. Maybe you can start using retinol twice a week and AHAs once a week and build up frequency gradually? I know in this article you said peptide serum is best for 40-somethings. I’m in mid-20s but I have sensitive skin so most retinols and vitamin C suspensions scare me because of the tingling etc. Do you think peptide serum will be good for someone with sensitive skin? Audrey, peptides are usually fine for sensitive skin. My only concern is that the verdict’s still out there on whether they work or not. Some critics say they’re too big to penetrate the skin while others think they work even when left on the surface. I’m inclined to believe the second thesis but peptides are expensive. That’s why I recommend getting a serum with antioxidants AND peptides. Paula’s Choice makes some great antioxidant serums that anyone can use. Have you checked those out? So glad to hear that it’s okay for sensitive skin. I also read that they are quite new and therefore do not have a lot of proofs that they work (or not). I agree that most of the times they are very expensive ($100ish or more), so I’m just gonna try The Ordinary’s $15 Buffet Serum, I’m pretty sure you have heard of its Matrixyl 3000 & Syn-Ake. What do you think about their Buffet product in term of ingredient? If you’re looking for a peptide serum, it’s a good option to try. It’s chock full with them and so cheap. I also like that it has plenty of hyaluronic acid, so it should be able to hydrate your skin as well. Thank you for such an informative blog. I have a 10 year old granddaughter who is starting to get spots on her forehead. I would like to help her as I suffered from acne in my teenage years. What cleansers would you recommend and should she use any serums or moisturisers. Hope you can help. Lynnette, I’m sorry to hear your granddaughter is suffering from spots already. I’d recommend she uses an exfoliant with salicylic acid (also called BHA) once a day. That should help.